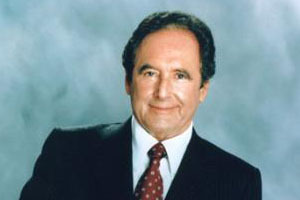 Joseph Barbera, the legendary animator, passed away Monday after a long illness. He was reported to be 95, but may have actually been older. As part of the directing team of Hanna-Barbera with the late Bill Hanna, Barbera directed scores of Tom And Jerry cartoons for MGM during the golden age of theatrical animation. Still partnered with Hanna, he was a pioneer of television animation, producing “The Flintstones,” “The Jetsons,” “Jonny Quest,” “Top Cat,” “Yogi Bear,” “Scooby Doo” and countless other classics. Barbera, known for his boistrous personality, was one of the last of the old guard of animation directors. Mark Evanier was in the midst of a tribute to Barbera when the end came. You can read his memories of the man here, here, and here. Cartoon Brew has a collection of tributes here. Paul Dini (Batman:The Animated Series, Lost) writes about Barbera here. More tributes are sure to come. Animated Discussions extends our condolences to his family and the extended family that loved his work. What a great legacy – Joe Barbera leaves behind a huge body of work that shaped the baby boom culture. Our thoughts are with his family and we hope St. Peter met him with a yabba dabba doo! How sad! I loved Top Cat as a kid, and have been watching it with my own kids on Boomerang. (Do you get that?!? It’s like old cartoon heaven!) I always loved all the Hanna Barbera cartoons, growing up. Man, the guy who made the Jetsons and then James Brown in the same week. Bummer city, dude.